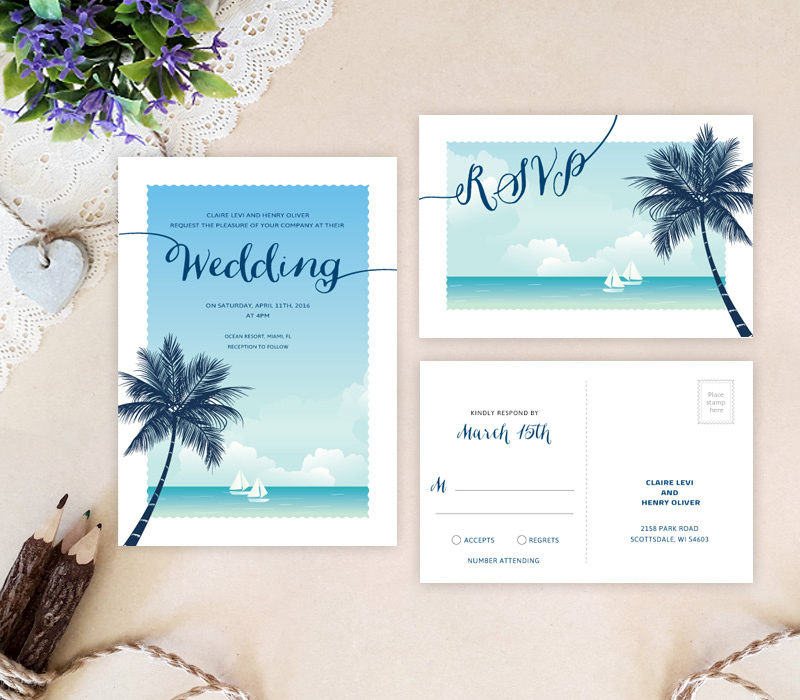 Before you exchange vows by the sea, invite your family and friends to your upcoming nuptials with our Destination Wedding Invitations. 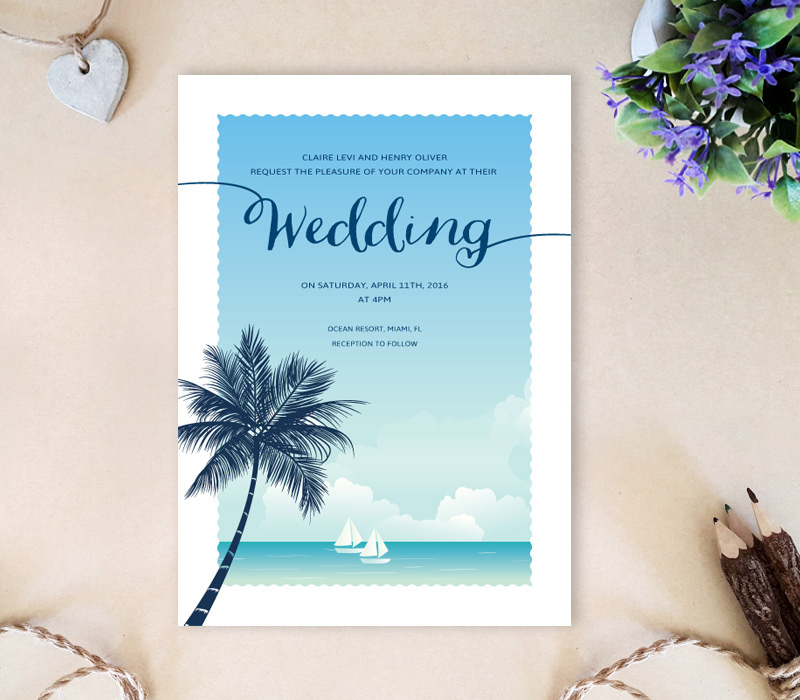 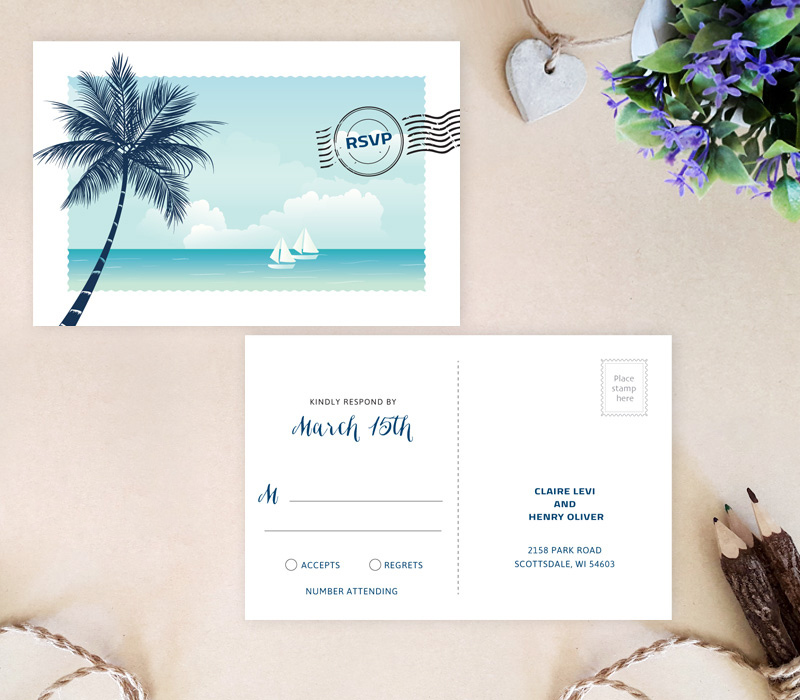 Just like the setting of your wedding, our invites showcase a perfect tropical beach scene complete with sail boats, clear skies and palm trees. 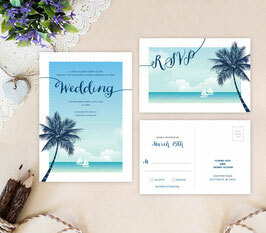 This beachy themed invitation set is printed on premium card stock and feature a wedding invites and RSVP postcard.